Dogs are supposed to be man's best friend, but when a dog bites or otherwise attacks a person there are legal issues to consider. If the dog bite victim suffers injuries or any other harm as a result of the attack, they may wish to pursue legal action against the dog owner. Homeowner's insurance and renter's insurance policies typically include liability coverage for any damages that might result from a dog bite or animal attack. But the personal injury claims process not as simple as filing a claim with the insurance company and receiving compensation right away. There are a number of steps that dog bite injury victims must take in order to protect their rights and ensure they are fairly compensated for their injuries. With all types of personal injury cases, establishing a record of the incident that caused a person's injuries is the most important first step in the process. In car accident cases, for example, this type of evidence typically comes in the form of a police report from the responding officer who investigates the collision. In dog bite incidents, a police officer or animal control officer will also be tasked with documenting the incident and writing a report about his or her findings. Police or animal control authorities may also be able to help you find out the identity and location of the dog's owner, which is another important step for victims who want to pursue a personal injury claim. Dog bites involving a roaming or escaped dog happen more often than you might think, and it is often very difficult to track down the owner of a dog if days or weeks have passed since the incident initially occurred. The benefits of properly reporting a dog bite go beyond just protecting your own legal interests, however. 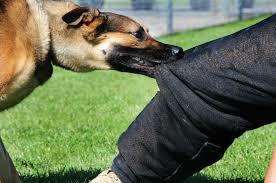 Dangerous dog laws in Washington state are designed to mitigate the risk of a dog which may be dangerous to the public. If a dog has a history of biting people or is known to be aggressive, animal control agencies are tasked with removing the dog from the community and potentially euthanizing it to prevent future incidents. Your decision to report an aggressive or dangerous dog after an attack can prevent other innocent people from suffering harm in the future. If possible, it is always a good idea for injured victims to thoroughly document their injuries. This can usually be accomplished by taking high quality photos and videos of the victim's wounds. Cell phone cameras today are convenient and more than capable of capturing detailed photos and videos that may later be used as evidence to support the victim's claim. Failing to seek medical treatment is one of the biggest mistakes that injury victims can make, as the importance of medical evidence is crucial for dog bite claims. Seeking medical attention for your injuries not only ensures that you get a proper diagnosis of your injuries and any potential risk of infection, but also adds to the paper trail of the incident and your doctor's visit. Another concern is disease and/or infection caused from dog bites. You’ll want to know whether a Rabies shot is necessary, and the only way to determine this is to find out if the dog responsible for attacking you is carrying any diseases or infections. If you've followed the necessary steps for documenting the dog bite that caused your injuries and seeking medical treatment, you may be ready to proceed with pursuing a personal injury claim against the owner of the dog that bit you. As I mentioned earlier, the most commonly available sources of insurance coverage in dog bite cases are homeowner's insurance and renter's insurance. Depending upon the severity of the injury, you may also want to consult with an experienced dog bite lawyer in your area to learn more about your legal rights. A qualified attorney can help you determine if you might benefit from legal representation for your dog bite case, or if you may be able to resolve the claim on your own, without the assistance of an attorney. In Washington State, there is a law that imposes strict liability (i.e., absolute responsibility regardless of the circumstances) for bites against the animal’s owner. In most situations, the homeowner's insurance policy would be the primary source of financial recovery for a dog bite case. The requirement is that the bite occur on public property - or on private property with the owner’s consent - and that the animal was not provoked. In other situations, the dog owner may be liable if you can show that the owner knew his/her dog had aggressive or violent tendencies but failed to quarantine the animal or protect people it came in contact with, or if the owner had knowledge that the animal had previously bitten another person. For dog bites that result in serious, long-term injuries, the injury victim may benefit from consulting with a personal injury attorney who has experience in handling dog bite claims. A lawyer who has experience in this area of the law will be better suited to identify the many complex issues that may arise throughout the personal injury legal process. If you or a loved one has been injured after a dog bite or animal attack, you would benefit from consulting with our award-winning Seattle dog bite lawyers. Davis Law Group has provided excellent legal representation to dog bite victims in Washington state and throughout the country for more than 25 years, and we know how to get the best possible settlement for injury victims. Call our office in Seattle at (206) 727-4000 or use the confidential contact form on this page to request a free legal consultation with our team. 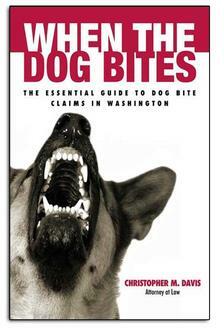 Every case is personally reviewed by award-winning dog bite attorney Chris Davis, founder of Davis Law Group.